"A Capitol Fourth" will air live July 4. This July 4th, America’s national Independence Day celebration kicks off our country’s 242nd birthday, as A Capitol Fourth on PBS welcomes back Emmy Award-nominated actor and producer John Stamos to host the festivities. 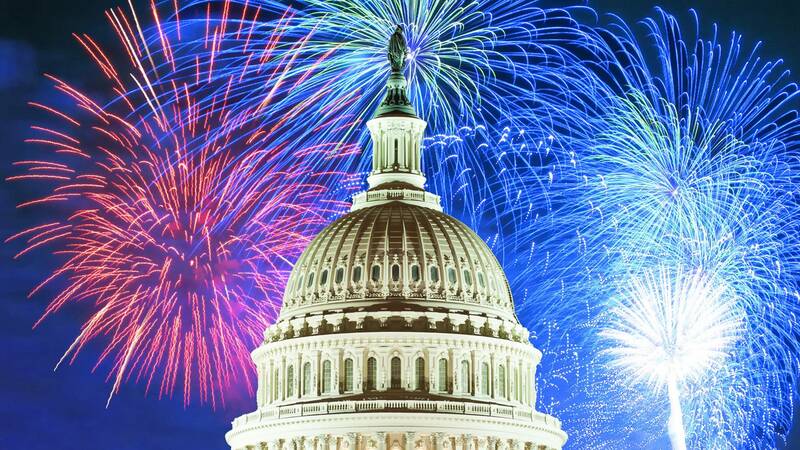 Broadcast live at 7 p.m. July 4 (encoring at 8:30 p.m.) on PBS from the West Lawn of the U.S. Capitol, this time-honored 38-year-tradition puts viewers front and center for America’s biggest birthday party with the greatest display of fireworks anywhere in the nation lighting up the iconic DC skyline. The country’s longest-running live national July 4 TV tradition will feature all-star musical performances by multi-platinum-selling music legend Jimmy Buffett with the Broadway cast of the new musical Escape to Margaritaville, The Beach Boys, Pentatonix, The Temptations, Luke Combs, Lauren Alaina, CeCe Winans and Joshua Bell. Just announced on the lineup are multi-platinum pop singer and songwriter Andy Grammer, The Voice season 14 finalist Kyla Jade and theatrical icon and one of Broadway’s greatest triple-threat talents Chita Rivera, who’ll introduce a special tribute to the work of famed American composer Leonard Bernstein. Also performing is the National Symphony Orchestra under the direction of top pops conductor Jack Everly.